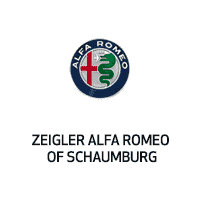 Explore a wide range of Certified Pre-Owned vehicles at Zeigler Alfa Romeo of Schaumburg and find out what Barrington customers are talking about. Get more car for your money, and discover more benefits of buying CPO, at our showroom near Barrington. Recent Arrival! 2015 Jeep Compass Sport Black Clearcoat AUTO CHECK CERTIFIED, POWER WINDOWS * POWER LOCKS * CRUISE CONTROL *, AUDIO JACK FOR MOBILE DEVISES *, STEERING WHEEL MOUNTED AUDIO CONTROLS *, PRE CERTIFIED *, KEYLESS ENTRY *, FOG LIGHTS, ALLOY WHEELS *, 4WD. 21/27 City/Highway MPG Odometer is 38030 miles below market average! At Zeigler Schaumburg CDJ, Home of the BEST PRICE GUARANTEE, we take pride in treating our customers like family, ensuring that your experience is one that you will never forget. Every vehicle has been through a 125 point safety inspection completed by a certified technician and fully detailed. Take advantage of our VIP internet experience by contacting us at 847-882-8400 to schedule a test drive. We are proud to service customers in Schaumburg, Arlington Heights, Palatine, Elgin, Barrington, Chicago, & anywhere in the Great state of Illinois, saving you time & money on any New or Pre-owned vehicle! See dealer for complete details, dealer is not responsible for pricing errors, all prices, plus tax, title, plate, and doc fees. Serving Illinois and all of our surrounding cities like Schaumburg, Arlington Heights, Palatine, Elgin, Barrington, & Chicago. Some of our used vehicles may be subject to unrepaired safety recalls. Check for a vehicle's unrepaired recalls by VIN at http://vinrcl.safercar.gov/vin/. Zeigler CDJ-“FOR A GREAT EXPERIENCE”. Recent Arrival! 2015 Jeep Compass Latitude POWER MOONROOF *, ONE OWNER *, AUTO CHECK CERTIFIED, LEATHER SEATS *, HEATED SEATS, NON SMOKER *, POWER WINDOWS * POWER LOCKS * CRUISE CONTROL *, 5.0 TOUCHSCREEN DISPLAY *, AUDIO JACK FOR MOBILE DEVISES *, REMOTE STARTER *, STEERING WHEEL MOUNTED AUDIO CONTROLS *, TILT AND TELESCOPIC STEERING WHEEL *, BOUGHT HERE SERVICED HERE *, KEYLESS ENTRY *, FOG LIGHTS, ALLOY WHEELS *, SIRIUS XM, ALL SPEED TRACTION CONTROL *, ANOTHER ONE OWNER LOCAL SUBURBAN TRADE *. 22/27 City/Highway MPG At Zeigler Schaumburg CDJ, Home of the BEST PRICE GUARANTEE, we take pride in treating our customers like family, ensuring that your experience is one that you will never forget. Every vehicle has been through a 125 point safety inspection completed by a certified technician and fully detailed. Take advantage of our VIP internet experience by contacting us at 847-882-8400 to schedule a test drive. We are proud to service customers in Schaumburg, Arlington Heights, Palatine, Elgin, Barrington, Chicago, & anywhere in the Great state of Illinois, saving you time & money on any New or Pre-owned vehicle! See dealer for complete details, dealer is not responsible for pricing errors, all prices, plus tax, title, plate, and doc fees. Serving Illinois and all of our surrounding cities like Schaumburg, Arlington Heights, Palatine, Elgin, Barrington, & Chicago. Some of our used vehicles may be subject to unrepaired safety recalls. Check for a vehicle's unrepaired recalls by VIN at http://vinrcl.safercar.gov/vin/. Zeigler CDJ-“FOR A GREAT EXPERIENCE”. **CERTIFIED**, BEST PRICED, LOADED with Options-*POPULAR EQUIPMENT Group*, 84 Month/100,000 MILE WARRANTY, 17 inch ALLOY Wheels, (*REMOTE START*), LOCAL Trade, FULLY Serviced, POWER Driver's Seat, AMBIENT Lighting, U-Connect, VERY CLEAN, Certified. Solar Yellow 2015 Jeep FCA US Certified Pre-Owned Details: * Warranty Deductible: $100 * 125 Point Inspection * Transferable Warranty * Vehicle History * Powertrain Limited Warranty: 84 Month/100,000 Mile (whichever comes first) from original in-service date * Limited Warranty: 3 Month/3,000 Mile (whichever comes first) after new car warranty expires or from certified purchase date * Roadside Assistance * Includes First Day Rental, Car Rental Allowance, and Trip Interruption Benefits Renegade Renegade Latitude CERTIFIED, 4D Sport Utility, 2.4L I4 MultiAir, Solar Yellow, 115V Auxiliary Power Outlet, 17" x 7.0" Aluminum Wheels, 40/20/40 Rear Seat w/Trunk Pass-Thru, 9 Amplified Speakers w/Subwoofer, Air Conditioning ATC w/Dual Zone Control, Front fog lights, Heated door mirrors, Popular Equipment Group, Power 4-Way Driver Lumbar Adjust, Power 8-Way Driver Manual 4-Way Passenger Seats, Quick Order Package 27J, Remote keyless entry, Remote Start System, Roof rack: rails only. Any questions? CALL 616-588-4223 OR TEXT 616-755-2560 We are proud to service customers in West Michigan, Grand Rapids, Wyoming, Cascade, Kentwood, Hudsonville, Forest Hills, Lowell, Ionia, Byron Center, Caledonia, Middleville, Dorr, Hopkins, Shelbyville, Hastings, Plainwell, Otsego, Allegan, Fennville, Holland, Saugatuck, Zeeland, Allendale, Kalamazoo, Grand Haven, Spring Lake, Muskegon, Norton Shores, Ravenna, Kent City, Sparta, Cedar Springs, Lansing, Flint, Jackson, Ludington, Big Rapids, Mt. Pleasant, Greenville, Grandville, Belding, And Surrounding Areas & anywhere in the Great state of Michigan, saving you time & money on any New or Pre-owned vehicle! See dealer for complete details, dealer is not responsible for pricing errors, includes all rebates, all prices, plus tax, title, plate, and doc fees. Zeigler of Grandville-FOR A GREAT EXPERIENCE. Some of our used vehicles may be subject to unrepaired safety recalls. Check for a vehicle's unrepaired recalls by VIN at http://vinrcl.safercar.gov/vin/ Latitude CERTIFIED 2.4L I4 MultiAir Awards: * 2015 KBB.com 10 Tech-Savviest Cars Under $20,000 * 2015 KBB.com Our 10 Favorite New-for-2015 Cars * 2015 KBB.com 10 Best SUVs Under $25,000 * 2015 KBB.com 10 Most Fun SUVs * 2015 KBB.com 10 Best All-Wheel-Drive Vehicles Under $25,000 Reviews: * Lots of character; agile handling; plenty of easy-to-use technology features; best-in-class off-road capability for Trailhawk model. Source: Edmunds * Prepare to tackle nature with the all new Jeep Renegade. A stiff body structure, a responsive steering system and an integrated KONI frequency selective damping front and rear strut system all add up to premium performance. The Renegade combines iconic Jeep styling with a smaller city friendly package. The available My Sky open-air, dual-panel roof features panels that can simply be retracted or removed completely for true open-air driving. Wheel options range from 16 to 18 inch. Renegade offers a host of over 70 active and passive safety and security features as well. The Renegade is available with two 4x4 systems: Jeep Active Drive on Sport, Latitude and Limited models and Jeep Active Drive Low on Trailhawk models. Both systems feature a rear axle disconnect system that seamlessly switches between two and four-wheel drive. The system increases efficiency when 4x4 isn't needed and enhances traction when it is. Every Renegade 4x4 is equipped with available Selec-Terrain traction control. The system allows the driver to tune traction settings for conditions such as snow, sand, mud and exclusive to the Trailhawk model an additional rock setting. Recent Arrival! 2018 Dodge Journey SE Contusion Blue Pearlcoat ONE OWNER *, NON SMOKER *, POWER WINDOWS * POWER LOCKS * CRUISE CONTROL *, AUDIO JACK FOR MOBILE DEVISES *, STEERING WHEEL MOUNTED AUDIO CONTROLS *, TILT AND TELESCOPIC STEERING WHEEL *, PRE CERTIFIED *, BLUETOOTH *, FOG LIGHTS, ALLOY WHEELS *, SIRIUS XM. At Zeigler Schaumburg CDJ, Home of the BEST PRICE GUARANTEE, we take pride in treating our customers like family, ensuring that your experience is one that you will never forget. Every vehicle has been through a 125 point safety inspection completed by a certified technician and fully detailed. Take advantage of our VIP internet experience by contacting us at 847-882-8400 to schedule a test drive. We are proud to service customers in Schaumburg, Arlington Heights, Palatine, Elgin, Barrington, Chicago, & anywhere in the Great state of Illinois, saving you time & money on any New or Pre-owned vehicle! See dealer for complete details, dealer is not responsible for pricing errors, all prices, plus tax, title, plate, and doc fees. Serving Illinois and all of our surrounding cities like Schaumburg, Arlington Heights, Palatine, Elgin, Barrington, & Chicago. Some of our used vehicles may be subject to unrepaired safety recalls. Check for a vehicle's unrepaired recalls by VIN at http://vinrcl.safercar.gov/vin/. Zeigler CDJ-“FOR A GREAT EXPERIENCE”. Recent Arrival! 2016 Jeep Cherokee Sport Bright White Clearcoat ONE OWNER *, NON SMOKER *, POWER WINDOWS * POWER LOCKS * CRUISE CONTROL *, 5.0 TOUCHSCREEN DISPLAY *, AUDIO JACK FOR MOBILE DEVISES *, STEERING WHEEL MOUNTED AUDIO CONTROLS *, KEYLESS ENTRY *, FOG LIGHTS, ALLOY WHEELS *. 22/31 City/Highway MPG At Zeigler Schaumburg CDJ, Home of the BEST PRICE GUARANTEE, we take pride in treating our customers like family, ensuring that your experience is one that you will never forget. Every vehicle has been through a 125 point safety inspection completed by a certified technician and fully detailed. Take advantage of our VIP internet experience by contacting us at 847-882-8400 to schedule a test drive. We are proud to service customers in Schaumburg, Arlington Heights, Palatine, Elgin, Barrington, Chicago, & anywhere in the Great state of Illinois, saving you time & money on any New or Pre-owned vehicle! See dealer for complete details, dealer is not responsible for pricing errors, all prices, plus tax, title, plate, and doc fees. Serving Illinois and all of our surrounding cities like Schaumburg, Arlington Heights, Palatine, Elgin, Barrington, & Chicago. Some of our used vehicles may be subject to unrepaired safety recalls. Check for a vehicle's unrepaired recalls by VIN at http://vinrcl.safercar.gov/vin/. Zeigler CDJ-“FOR A GREAT EXPERIENCE”. Recent Arrival! 2016 Dodge Challenger SXT Torred Clearcoat AUTO CHECK CERTIFIED, POWER WINDOWS * POWER LOCKS * CRUISE CONTROL *, 5.0 TOUCHSCREEN DISPLAY *, AUDIO JACK FOR MOBILE DEVISES *, STEERING WHEEL MOUNTED AUDIO CONTROLS *, TILT AND TELESCOPIC STEERING WHEEL *, PRE CERTIFIED *, POWER TRUNK *, KEYLESS ENTRY *, FOG LIGHTS, ALLOY WHEELS *, SIRIUS XM. 19/30 City/Highway MPG At Zeigler Schaumburg CDJ, Home of the BEST PRICE GUARANTEE, we take pride in treating our customers like family, ensuring that your experience is one that you will never forget. Every vehicle has been through a 125 point safety inspection completed by a certified technician and fully detailed. Take advantage of our VIP internet experience by contacting us at 847-882-8400 to schedule a test drive. We are proud to service customers in Schaumburg, Arlington Heights, Palatine, Elgin, Barrington, Chicago, & anywhere in the Great state of Illinois, saving you time & money on any New or Pre-owned vehicle! See dealer for complete details, dealer is not responsible for pricing errors, all prices, plus tax, title, plate, and doc fees. Serving Illinois and all of our surrounding cities like Schaumburg, Arlington Heights, Palatine, Elgin, Barrington, & Chicago. Some of our used vehicles may be subject to unrepaired safety recalls. Check for a vehicle's unrepaired recalls by VIN at http://vinrcl.safercar.gov/vin/. Zeigler CDJ-“FOR A GREAT EXPERIENCE”. Multi-point Inspection: To become certified vehicles must pass an intense multi-point inspection be reconditioned to meet the high standards of the CPO program. Variety of Options: When purchasing a CPO vehicle at Zeigler Alfa Romeo of Schaumburg you have the added benefit of testing a variety of makes and models at one location, instead of driving from dealership to dealership. New Car Benefits: Many CPO vehicles come with available warranties, and some programs even offer maintenance programs, to keep your car protected and in top condition. Added Perks: Many Certified Pre-Owned vehicles offer additional advantages like free car history reports or roadside assistance. Did you know that Certified Pre-Owned vehicles can sometimes qualify for a better interest rate? Our finance department will work with you to find you the best interest rate we can. You can also value your trade online before visiting Zeigler Alfa Romeo of Schaumburg near Itasca for a test drive.